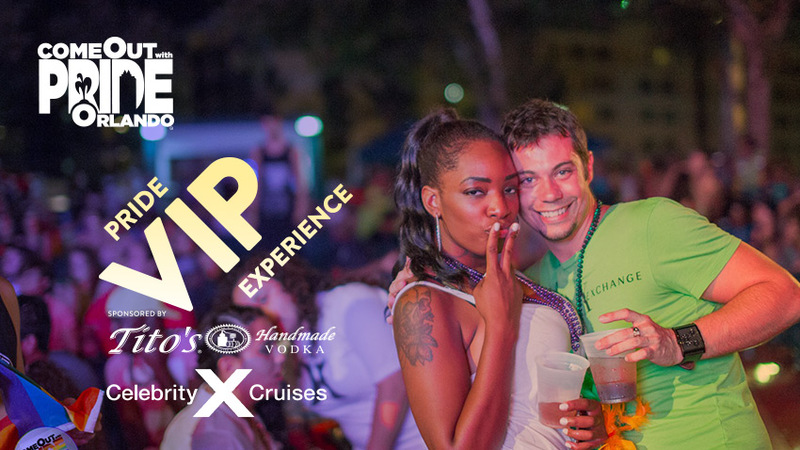 The VIP Experience presented by Tito's and Go Travel with Celebrity Cruise Lines lets you and your friends Relax, Refresh and Re-energize! New in 2018 are three options that will help you discover your preferred way to enjoy the festival and #KeepDancingOrlando. © 2019 ShowClix on behalf of Come Out With Pride Inc.. All sales are final. Tickets are non-refundable.